Or the full strength of the Dark Lord! If you like your coffee a little on the Dark Side, you'll love this Star Wars Darth Vader 3D Mug! 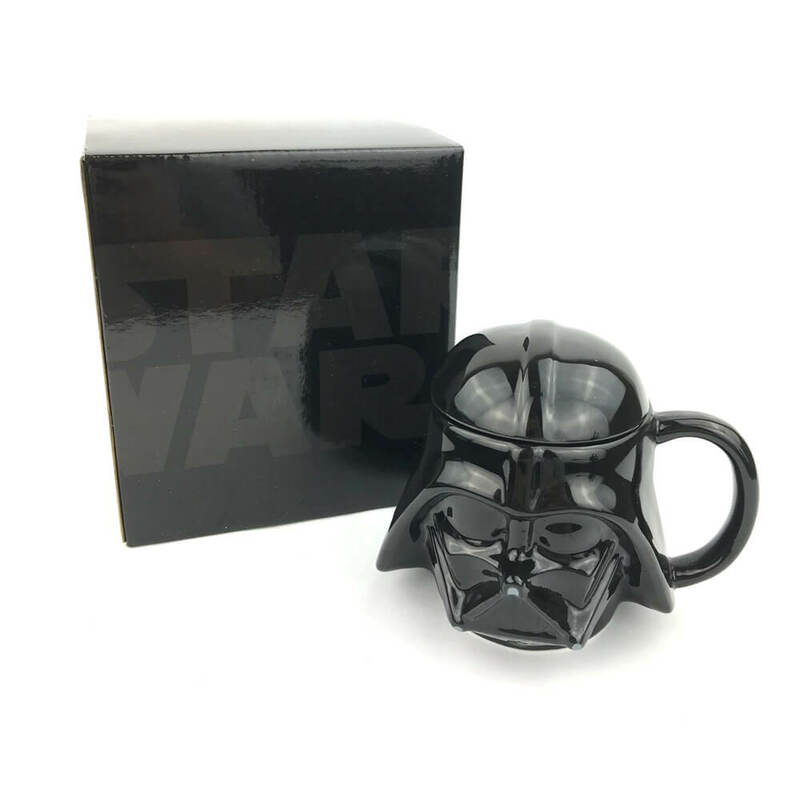 Sculpted and hand-painted to look just like the once-heroic Jedi Knight corrupted by the Force, this pitch black mug is one to be feared! 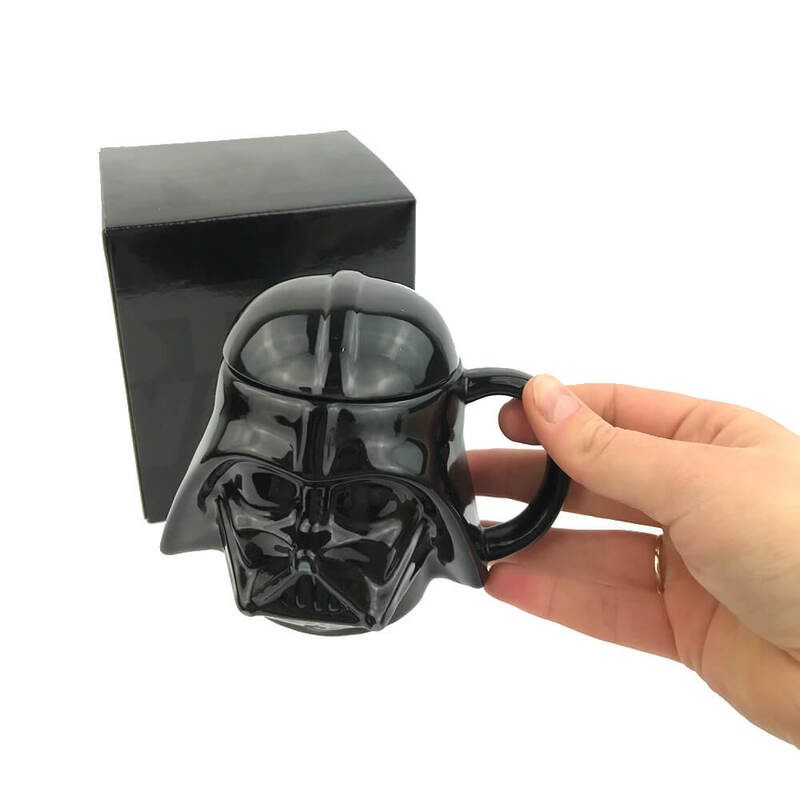 Coming complete with handle and removable lid to cover and insulate your beverage, your mug is made from high quality glossy ceramic. 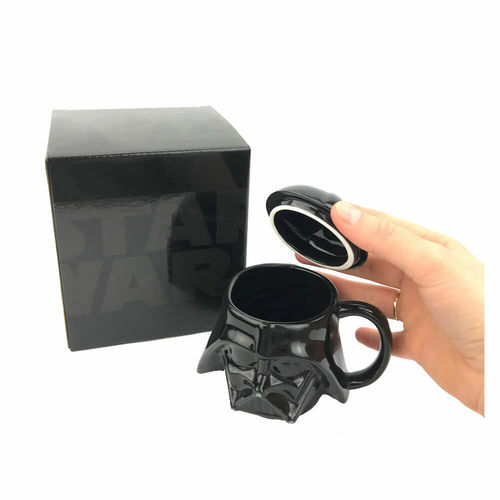 It's the perfect gift for the ultimate Star Wars fan! Hand wash only, not recommended for dishwasher use. Dimensions: 7.5cm (h) x 11cm (w) x 9cm (d). Holds approximately 300ml.